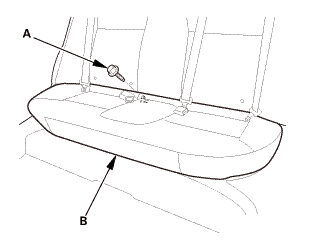 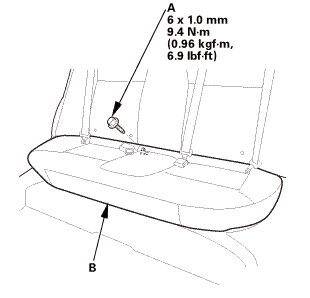 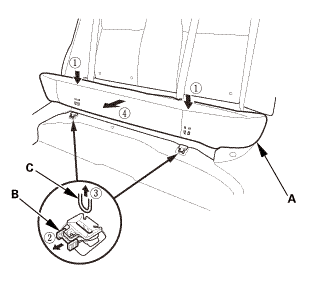 Remove the seat belt buckles (A). 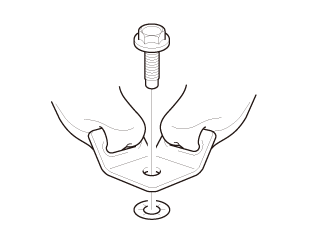 Assemble the washer on the center anchor bolt as shown. 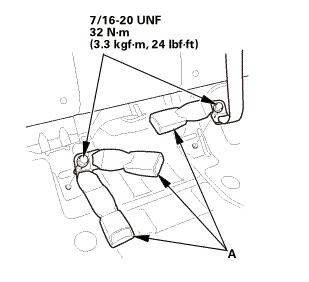 Apply medium strength liquid thread lock to the center anchor bolts before reinstallation. 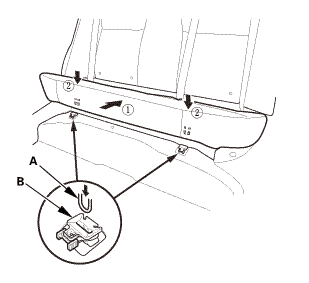 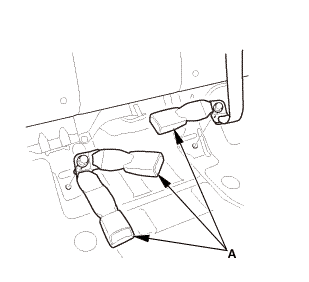 Install the seat belt buckles (A).